Protesters in East Pittsburgh on Wednesday night disrupted traffic but were otherwise peaceful as they repeatedly said of a black 17-year-old shot there a day earlier: "He didn't deserve to die like that." Antwon Rose absorbed three bullets when he fled a traffic stop Tuesday night. He was taken to a local hospital. He died there. Rose was a passenger in a car believed to be involved in a shooting earlier that night in North Braddock, police said. Responding officers found a 22-year-old there who'd been shot in the abdomen. Someone in a vehicle had fired nine rounds at that 22-year-old, who returned fire. The 22-year-old was taken to a hospital and later released. 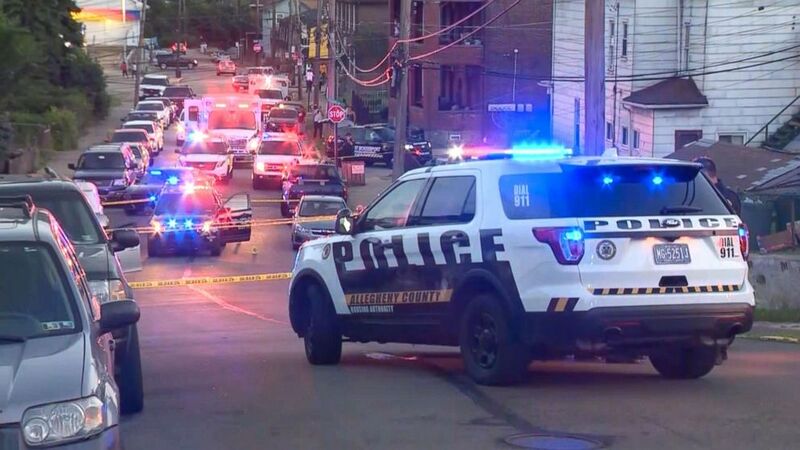 An East Pittsburgh police officer spotted a car -- a silver Chevy Cruze -- that matched the description of the one that contained the shooter and pulled it over around 8:40 p.m. The car's 20-year-old driver was ordered out of the vehicle and told to get on the ground, police said. The two passengers in the car fled on foot, and an officer opened fire, striking Rose. Rose did not have a weapon. None of the three people in the Chevy Cruze fired at police, but "two firearms were later recovered from the suspect vehicle," authorities said. The driver was detained and later released. The other person who fled on foot remains at large, and that person's identity is unknown. The East Pittsburgh officer who shot and killed Rose has not been publicly identified and was placed on administrative leave. That officer, police said, was not wearing a body camera and wasn't using a dashboard camera in his vehicle. The officer who fired the shots, ABC News has learned, was sworn in hours before the shooting. This was his first shift with that police department. It's unknown if he previously worked in law enforcement. 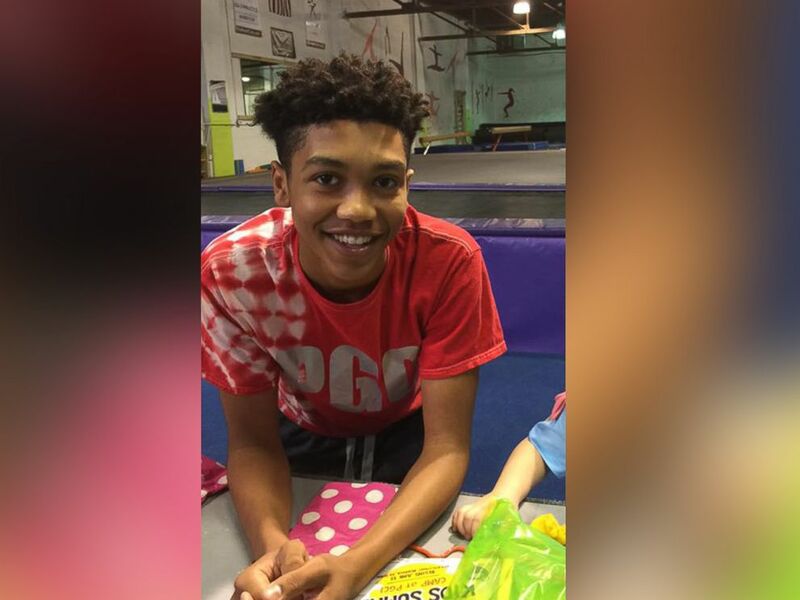 "It is difficult to find justification in the shooting of 17 year-old rising senior high school student Antwon Rose II. ... We know very little about the circumstances surrounding his death at this early stage. We must emphasize that rumors of him being involved in a separate shooting are unsubstantiated. We know that he was not armed at the time he was shot down, that he posed no immediate threat to anyone, and that, significantly, the driver of the vehicle he occupied was released from police custody. The officer involved in this shooting had just been sworn into the Pittsburgh PD roughly three (3) hours before this encounter. These facts, without more, simply leave very little room to justify the use of deadly force by this officer. Additional information concerning the background of the offending officer and the facts available to him at the time of the shooting is needed as we determine the appropriate action in this manner." A viewing of Rose is scheduled for Sunday. His funeral is scheduled for Monday. The protest on Wednesday night included several hundred people who blocked major roadways and marched holding signs that read "Black Lives Matter" and "Say his name, Antwon Rose." No arrests at the protests were reported as of 8:30 Wednesday night. Allegheny County Police Superintendent Coleman McDonough told ABC News his department is just trying to keep the peace as it works through an investigation of the incident that left Rose dead. A downpour struck the area about two-and-a-half hours into the protest.